That compares to the 640 stores Barnes & Noble Inc. operates and the 255 locations Books-A-Million Inc. said it had as of last summer. Both companies spent years building out their retail operations. Even without the info from Amazon, I had trouble believing this rumor. That CEO would have violated multiple NDAs to make that claim in the earnings call. Yes, people are that stupid sometimes, but I have trouble believing it in this case. The mall operator in question has interests in 120 malls, and exposing Amazon's plans risks Amazon choosing to sign leases elsewhere. That is millions of annual revenue walking away due to this one slip. Plus, why would Amazon have told this one CEO their entire plan? I mean, Jeff Bezos may be a Bond villain (he has rockets, robots, and an empire that spans the news and book industries) but he's not the type to ruin things by monologuing his plans to an outsider. Yes, Amazon has a single bookstore in Seattle, as well as a double handful of kiosks in malls around the world, and they could well be planning to open more. But 300 stores, when the first store has only been opened for a few months? It would take years to accomplish, and would involve scouting locations, signing leases, and hiring staff. And that is why this story doesn't pass my sniff test. I’m having an ouroboros moment…wouldn’t this put Amazon directly in competition with itself? Why bother with drone delivery if you have bricks and mortar all over the place? Or maybe this is an April Fools’ project that sprang early from the planning womb? I think I read in the initial report that the B&N share price dropped by 1.7% ‘following the Amazon news’ although there’s no reference as to where or when that ‘Amazon news came out. Having said that, I can just imagine B&N senior management choking on their cornflakes this morning. Would have been a great April 1st joke! Everyone who asked got that off the record comment, and I was one of a few that even hinted about the denial. The rest just ran the story. I would think my post served Amazon’s purposes just fine. Here’s a thought: there is boatload of leases that just became available. Cherry picking the best of the GAMESTOP locations would offer just enough space to feature bestsellers, Apub and indie titles, their hardware, and pickup lockers. The build out stores don’t need to all be replicas of the Seattle site. It may just be rumor but with Bezos anything is possible. 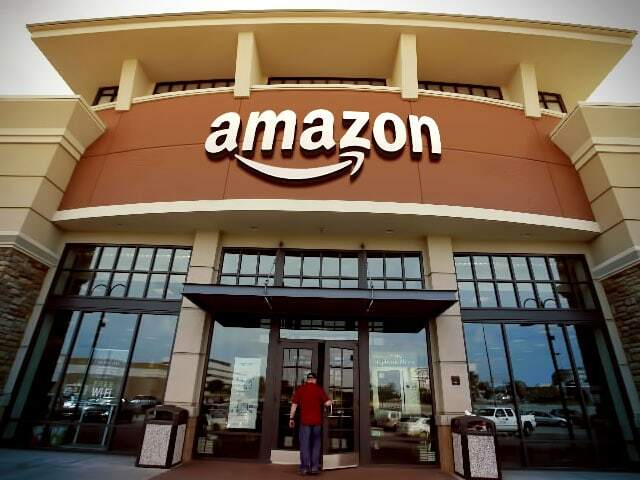 Amazon Books is said to be around 5,500 sq ft. Most Gamestop stores I have seen are smaller than even Radioshack locations. We’re talking 2,000 sq ft stores, if that large. Also, the only news I can find on Gamestop refers to store closures in Puerto Rico, not the rest of the US. So I don’t think that will help Amazon much. I still can’t find anything on Gamestop leases, Link? You do know Gamestop is closing down, right? So far they’ve announced 120 stores specifically but the original report is they are phasing out of B&M. That was from April 2014, and only impacted 100 or so stores. Got anything more recent? Edit: According to Gamestop’s financial statements, the company isn’t doing too badly.